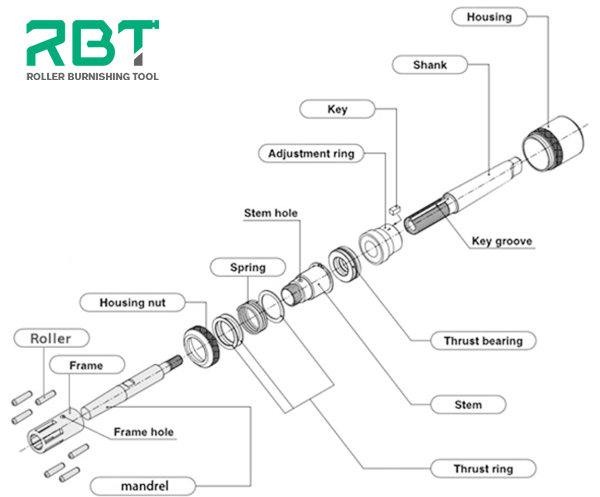 The mandrel and shank of the roller burnishing tool are connected by housing nut. Rotate the core to the left when replacing the core axis, then remove the mandrel from the handle of the tool. The housing nut to the left rotating frame, remove roller holder, insert the tool rod into the process hole of the bracket, turn left and you can unload. Turn the screws on the frame to the left and remove the bracket from the plug. 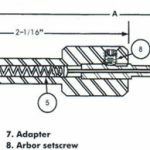 Note: to install rolling pin(rolling pin is generally conical type), turn the larger end towards the front end of the tool. 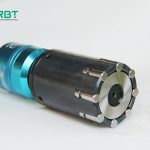 Rolling pin must be replaced by group (one set).The mixed use of old and new rolling pin will result in abnormal abrasion of rolling tool and poor accuracy of machining workpiece. 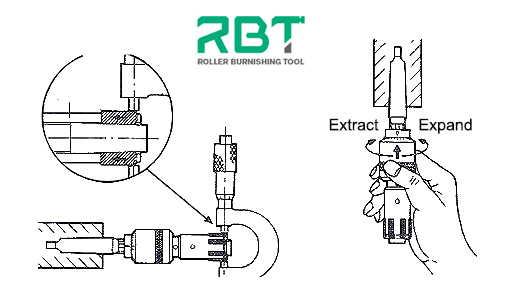 ← What is the processing method and processing condition of roller burnishing tool?